(CNSNews.com) - Manufacturing jobs increased by 18,000 in the United States in September, according to data released today by the Bureau of Labor Statistics. In August, according to the new BLS numbers, there were 12,729,000 manufacturing jobs in the United States. In September, there were 12,747,000. Manufacturing employment in the United States peaked in June 1979, when it hit 19,553,000. 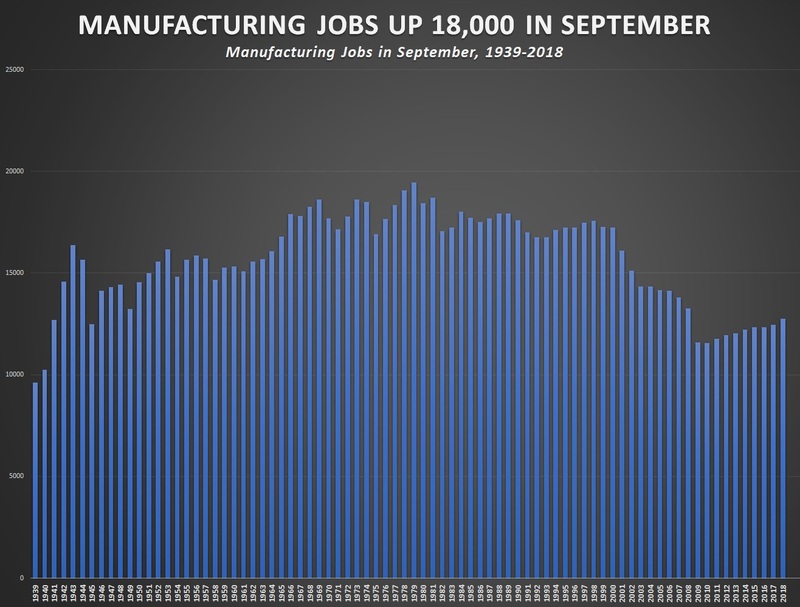 Even with the recent gains in manufacturing employment in the United States, there are still 6,806,000 fewer manufacturing jobs in this country than there were at the 1979 peak.